In my freezer there is a turkey. It’s not just any turkey. This turkey is special – at least, it’s special to me. It’s special not just because it is a rare and endangered breed (did you know the best way to save these is to eat them? ), not just because it was raised outside a cage, free to roam. Mostly it is special because – along with this blog – it is among the first fruits of Plainsong Farm. It’s in my freezer because I’m spending Thanksgiving with my in-laws, but one day soon it will be on my table. 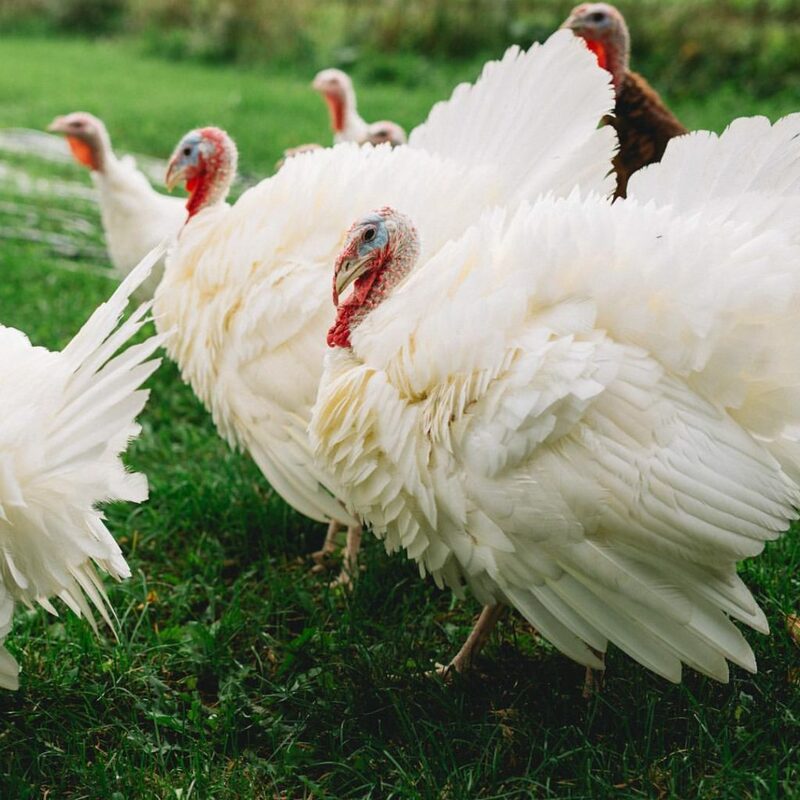 Turkeys free-ranging at Plainsong Farm in October. You’ve seen the farm logo on the sidebar of this blog since last winter. But I’ve never told you about the farm. Mostly because there is so much to say – too much for one blog post. But today is Thanksgiving. And today I give thanks for the first year of the farm’s life. God gave me the vision for this farm more than a decade ago. Our family lived on land that had been a farm once. We couldn’t seem to make it a farm ourselves. But whenever I walked the property, I could see the work that God might do there. The vision became a call, but the time wasn’t yet right to heed it. In those days, I was a Christian pastor in the Unitarian Universalist Association, and I was lonely. After ten years of ministry as a Christian among the Unitarian Universalists, quietly going to Evening Prayer at an Episcopal campus ministry (at the first church I served) and Morning Prayer at the closest Episcopal Church (at the second), I quit my full-time ministry with a big downtown church and left the UUA. I became an Episcopalian, endured another four-year ordination process, and became a priest in Christ’s one, holy, catholic and apostolic church. I’ve been in some type of ministry for more than twenty years now. But I’ve never understood why the church tries to teach people about God without connecting them with the land. Without demonstrating the reality that we depend on God’s providence for our daily bread. Without celebrating the turning of the seasons – not only at our altars, but in our fields too. For much of my ministry, it was my job to teach kids about God in rooms without windows. I always wondered: how could they grasp that they belonged to God’s beautiful Creation without experiencing that Creation at first hand? Before I was ordained a priest, there was no time to start a farm. Afterwards, I tried. I made a garden. I got some chickens. But I was a terrible farmer. Weeds overtook the garden. I kept the chickens alive, but I quickly recognized that what gave me joy – and what I did well – was tending Christ’s church: pastoring people, preaching sermons, writing, even going to meetings (strange, but true). It was baffling. Why was God giving me a clear call to start a farm ministry without giving me the skills to do the work and the joy in it? The call grew louder and louder; my inadequacy to fulfill it grew clearer and clearer. Every time I prayed, the call to start the farm was stronger. Every time I prayed, I felt like a failure. And then God made it happen. That part is a long story, too long for a blog post. 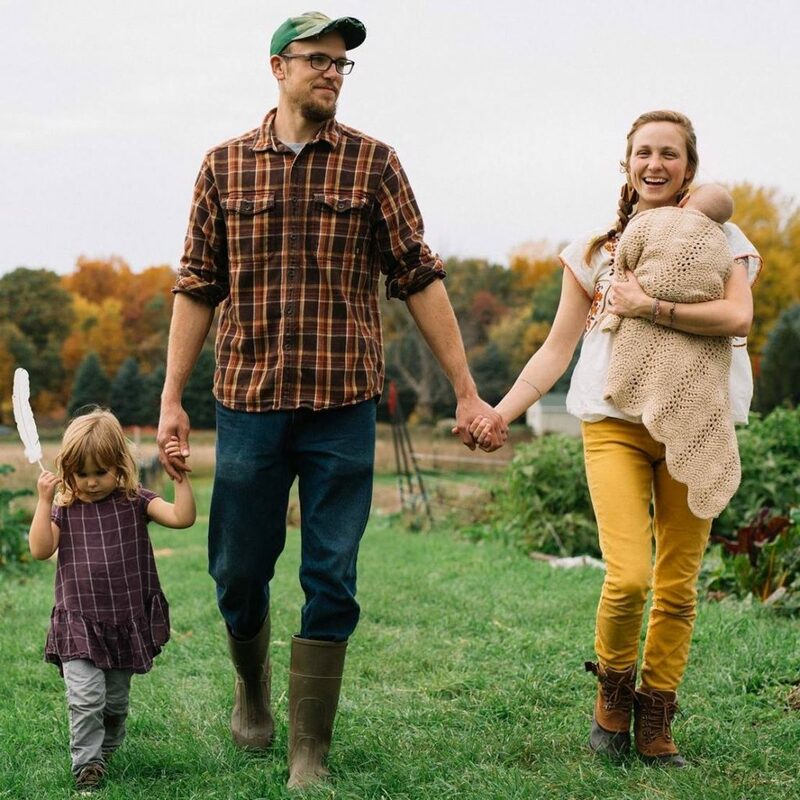 The short version is this: God brought me together with Mike and Bethany Edwardson, a young couple whom He had called to farm in some way connected with the church. They live at the farm now. They are excellent farmers. They raised the turkey that is in my freezer along with much more. Mike & Bethany Edwardson and their children. Yes, their newest one was born this summer along with the farm. This past year was the farm’s first growing season. It exists. 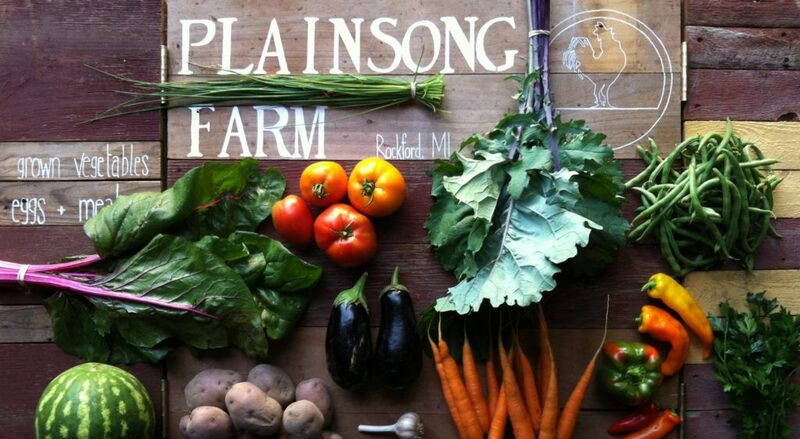 Plainsong Farm aims to grow food for people and to grow people for God. It is no longer a dream. It is no longer an unfulfilled vocation. It is a real ministry which has just begun to bear fruit. For what do you give thanks today? I am grateful you stayed on the path you felt called to as you listened to the Spirit’s leading. What a wonderful post! I love the fact that, even though it isn’t named here, you have always been a farmer – just not in the sense you were expecting. Pastoring, preaching, writing, reading – all were a way of tilling the soil and planting seeds that would grow into something great. I love hearing about the farm and how it is another way of revealing God in the world! A happy and blessed Thanksgiving to you and your family! Looking forward to hearing more…loved this introduction!